Always looking for that premium USB Cable to recharge your mobile device? The Lightning USB Cable provides a flat, tang-free way to charge and sync your mobile device with maximum reliability. The 100cm Cable showcases a refreshing design that adds a touch of spark and complements your personal mobile device or gadget. To ensure dependable performance, the Lightning USB Cable has been developed to meet world-class standards and deliver uncompromising quality. 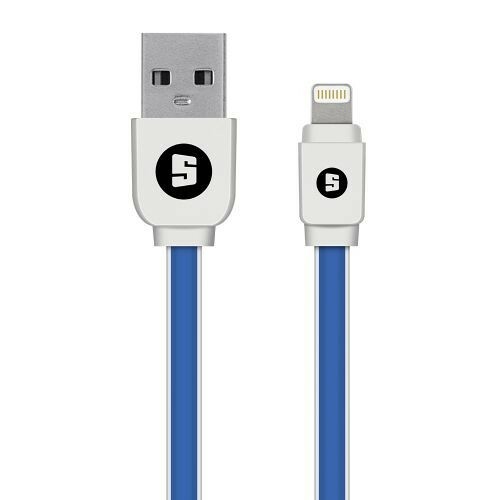 Charge multiple Lightning USB enabled devices on-the-go with this stylish USB Cable that is truly built-to-last. Combine the function of data transfer and charging. At 100cm, the cable length provides a practical solution for charging needs.